This makes a big bowl of noodles, so you could always half the recipe if you don’t want so much. But this is such a deelish recipe it might be good to have leftovers or just more people to feed! Such a simple sauce to whip up but with such a complex flavor. I am sure this sauce would be amazing sauteed up with some veggies or just drizzled over steamed veggies. Yum! Boil a large pot of salted water. 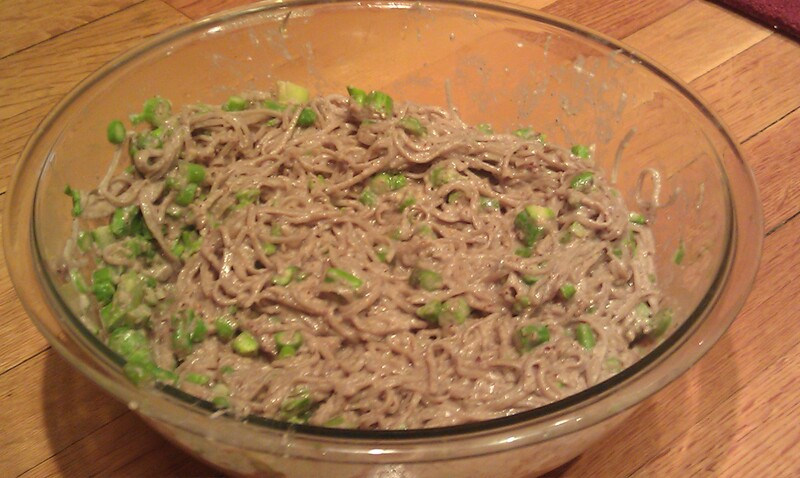 Cook the soba as directed. 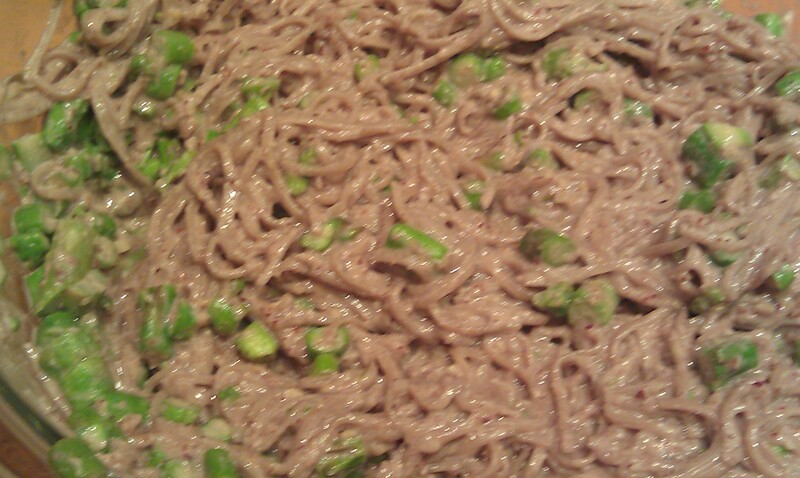 30 seconds before the pasta is done, add the asparagus to the pot and then drain the noodles and asparagus together. Toss with about 1/2-whole recipe of the sauce – adding more to taste. I ended up using most of the dressing. Puree the pecans, olive oil, garlic, miso paste, vinegar, and agave together until smooth. Adding salt to taste.